Crisis Stabilization Unit (CSU) provides services to Marin County residents and visitors experiencing a mental health crisis, such as suicidal depression or psychotic behavior. 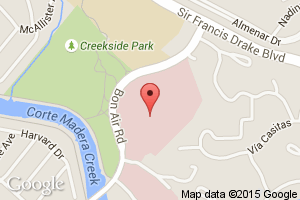 The CSU Unit, located within Marin General Hospital at 250 Bon Air Rd. in Greenbrae, is open 24 hours/7 days a week and has 2 client rooms, a total of 4 beds; 3 couches and 4 chair-beds in common areas (to be used for overflow) to provide attention to adults in psychiatric crisis. Every client undergoes a detailed psychiatric assessment, nursing assessment, and screening for drug and alcohol use. Marin County Crisis Stabilization Unit (CSU) serves children, teenagers, young adults, adults, and older adults, regardless of financial status or whether or not they are insured. CSU services are available 24 hours a day, 7 days per week. Length of stay is limited to less than 24 hours. Provides psychiatric assessments, referrals, recommendations and consultation on behalf of individuals who arrive on an involuntary basis (Pursuant: California Welfare and Institutions Code 5150), and for those who come to CSU voluntarily. Typically clients are experiencing a mental or emotional crisis; in that they may be deemed a danger to themselves or to others, or they may appear incapable of caring for their basic needs. Provides crisis stabilization; i.e., individualized interventions directed toward resolution of the presenting, psychiatric episode. Provides evaluations of clients for whom inpatient psychiatric hospitalization appears indicated. Admissions for inpatient, psychiatric hospitalization are arranged as necessary. Some clients may be referred to Bay Area Community Resources (BACR) or to work with Community Action Marin through the use of a Family Partner to address drug and/or alcohol use issues. Referrals to CSU are received from families and individuals, from all County of Marin departments, our thirteen, local law enforcement agencies, community health providers and agencies, and from facilities and agencies throughout Northern California. Effective immediately, Psychiatric Emergency Services (PES) changed its name to Crisis Stabilization Unit (CSU). As such, all references in existing departmental policies and procedures to PES can be understood to reference CSU as well.